Why Should You Hire Professionals for Hardwood Floor Refinishing? 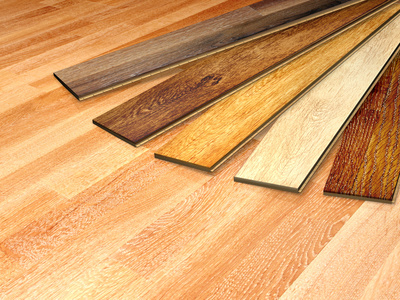 Hardwood flooring adds to the aesthetics of your home, while offering a number of advantages. But when the flooring gets old, it often needs a quick refinish to get its shine and smoothness back. Many homeowners try to do their hardwood floor refinishing on their own. This is mainly to save money and the assumption that refinishing of hardwood is a simple task. While it is tempting to do it on your own to save money, it may not be worth risking your flooring. The job is best left to professionals and here are the reasons why. Old hardwood floors are subject to a lot of wear and tear – due to regular usage, placing and moving of heavy furniture, heat and moisture. On the top, the damage may seem minimal and refinishing may seem enough. But how sure are you that refinishing is enough? The floor could be damaged due to moisture from below, and there is the chance that it could be affected by termites. Only a professional eye can determine if refinishing is sufficient or if your old hardwood floors have to be replaced, keeping in mind the safety of people living in the house. Hardwood flooring comes with a top coat that can get scratched over the years. In most cases, it’s only the top clear coating that needs a rebuff, as the wood underneath is fine. In that case, the professionals will use a rebuffing tool to get that luster back on the floor. They also sand-finish your flooring, to rid any residues of the old coatings. Sand paper coating turns the floor down to bare wood, after which fresh coats of finish are applied. You may think that sandpaper coating is easy too, but what you may not pay heed to is that it is a messy job. Sandpaper brings up wood dust that can easily spread around if necessary precautions to contain it are not taken. Professionals will seal the doorways properly so that the dust from one room does not enter another. Professionals know how and when to apply the coat to the flooring, to achieve the perfect finish and make the floor smooth enough to walk, but not too smooth that you slip often. When you hire professionals for hardwood floors finishing, you can rest assured that the floor will look as good as new, with as little mess as possible.